Panasonic NN-SN766S 1250 Watts Countertop Microwave Oven comes with 1.6 cu. ft. capacity. The high quality stainless steel microwave oven by Panasonic delivers a seamless stream of cooking power for even cooking and delicious meal. 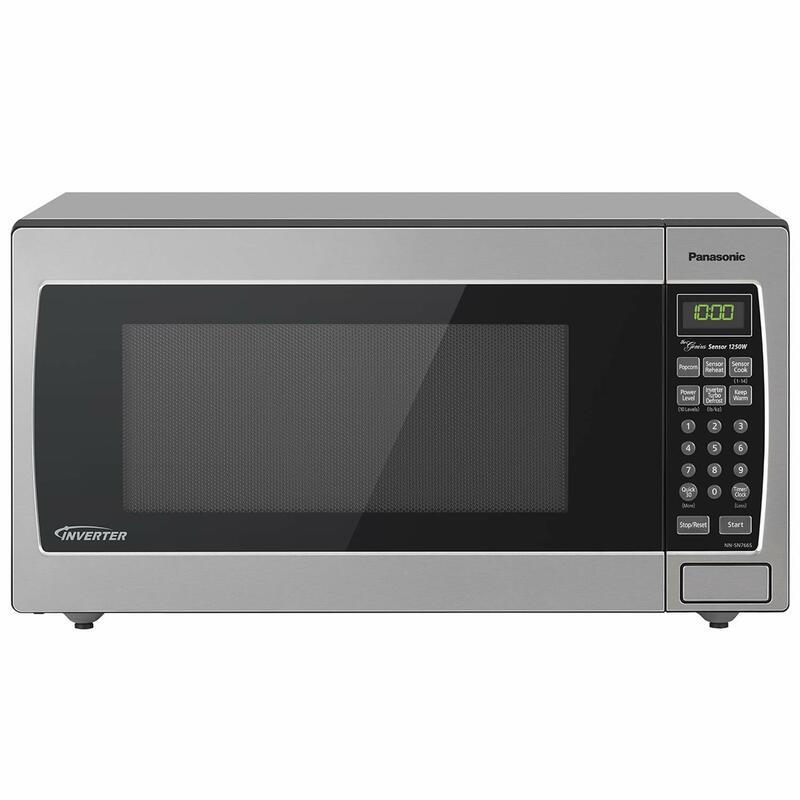 Since this Panasonic countertop microwave oven is powered by patented Inverter Technology with Turbo Defrost so it is good to generate good stream of power. Consequently, it delivers evenly prepared food that is without overcooking. Panasonic NN-SN766S 1250 Watts Countertop Microwave Oven carries a compact design as it has 15” turntable that is thinner and lighter and more efficient than other ordinary microwave ovens. Because of such advanced capabilities, Panasonic NN-SN766S allows you to devote less space to electronics and more to interior capacity. The dimensions are 9 by 16.43 by 18.5 inches. The outer dimensions are 11.93 by 21.87 by 19.43 inches. Further the compact Panasonic microwave oven comes with ‘keep warm’ feature that is good to keep soups, gravies or deserts warm and fresh until ready to serve.